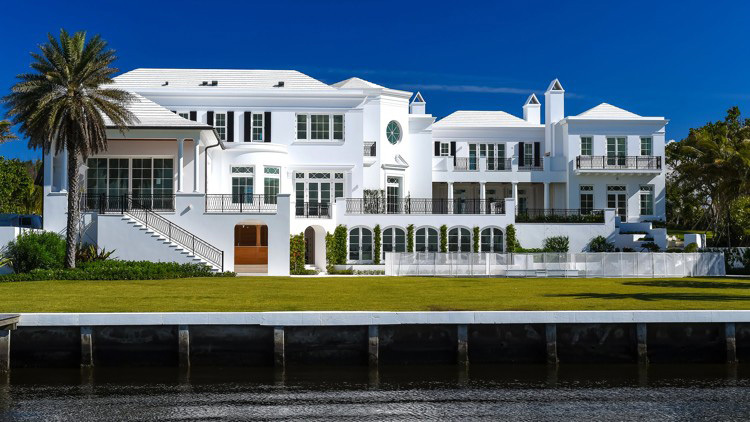 A luxury property in Palm Beach billed as having “Bermuda-style architecture” is for sale at $61.5 million, with the Florida property boasting two waterfronts, seven-bedrooms, 14-bathrooms, a theater, infinity pool, spa, four-car garage, guest house and more. The Palm Beach Daily News said, “The short list of the most expensive houses for sale in Palm Beach just got a little longer, thanks to a $61.5 million addition to the local multiple listing service. “On Billionaires Row, the ocean-to-lake estate at 1900 S. Ocean Blvd. is finishing up construction with nearly 30,000 square feet of living space, inside and out. The estate comprises almost 2 acres, with 200 feet of oceanfront directly across the coastal road and 180 feet of lakefront on its west side. Photo by Andy Frame, courtesy of Sotheby’s International Realty. “Keith Frankel, who heads VitaQuest International, and his wife, Tammy, built the never-lived-in house, which was briefly on the market in 2014 at a pre-construction price of $65 million. “Keith Frankel is president and CEO of VitaQuest International, a manufacturer of vitamins and nutritional supplements. Based in West Caldwell, N.J., the company was founded by his parents. 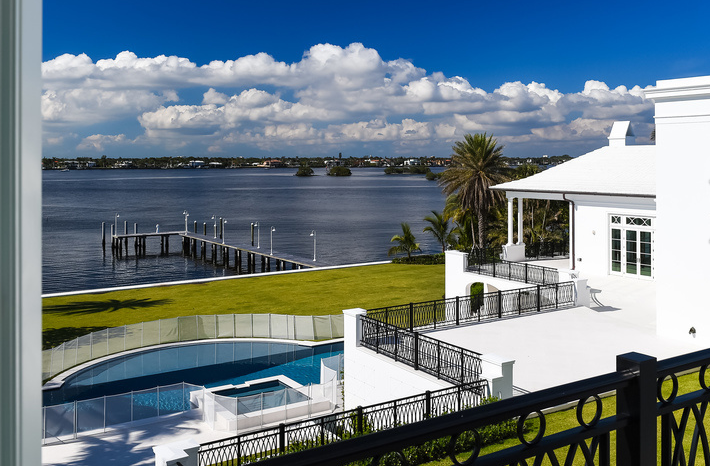 The house boasts two waterfronts, according to MansionGlobal.com. Sitting on nearly two acres of land, the property includes 200 feet of Palm Beach’s famed Atlantic beach, and 180 feet of Lake Worth’s shore. The seven-bedroom, 14-bathroom [eight full, six half] house features a theater, infinity pool, spa, four-car garage and a guest house. It also has a separate three-bedroom guest wing with its own living area and elevator access. That’s a Bermuda style price. Features of that house would fit in very easily here. The place has real style. Looks sweet, but good lord. That house has no artistic excuse for existing in Bermuda. No wunder it’s never been lived in… at that price for sale who on earth could rent it?